Kat’s University of Pennsylvania Portrait session with Kaleidoscope Imagery was one of my favorites of 2016. The photos are infused with creativity, collaboration, and Kat’s bright personality. I’ve been friends with Kat since high school and have watched her grow as a talented creative over the years. From acting and singing, to playing guitar, to completing her first novel, I can honestly say Katherine is one of the most driven and talented people I know. So when she asked me to take her portraits, I was not only honored but also excited, knowing the session would be full of artistic fun. And it totally was. I say portrait session rather than head shot session because I always take a wide variety of shots. Clients who come to me for head shots are some of my favorites because I know that after we get that perfect “linked in” photo, we have creative freedom to explore. I use a variety of off camera flash and natural lighting, outfit changes, and different locations to provide a well rounded gallery to be used in any promotional or personal materials a professional may need. 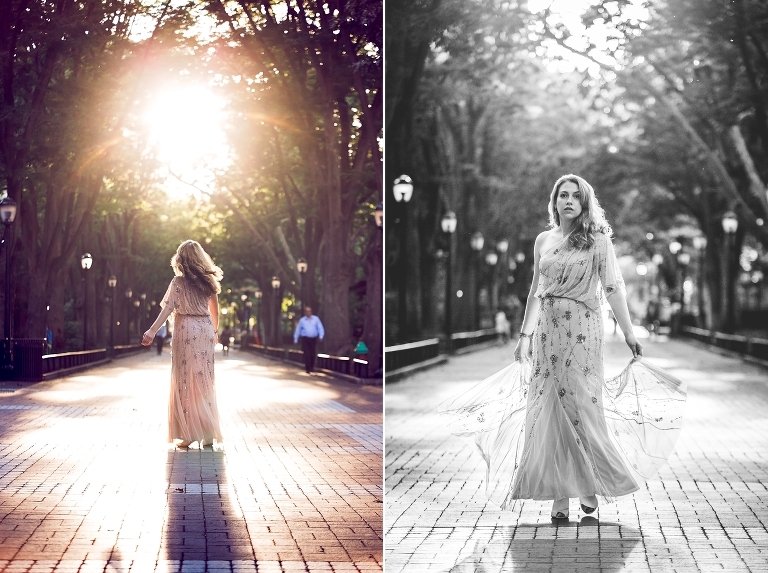 In Kat’s session, we began on Penn’s campus, using dappled light in the trees as our back drop. Katherine wore a beautiful Grecian style dress, which added to the whimsical feel of the light in this location. After a quick outfit change we were off to the White Dog Cafe in University City. I love the quirkiness of this bar, and felt it fit well with Kat’s personality. I used a soft box to get a studio feel in the dark space. 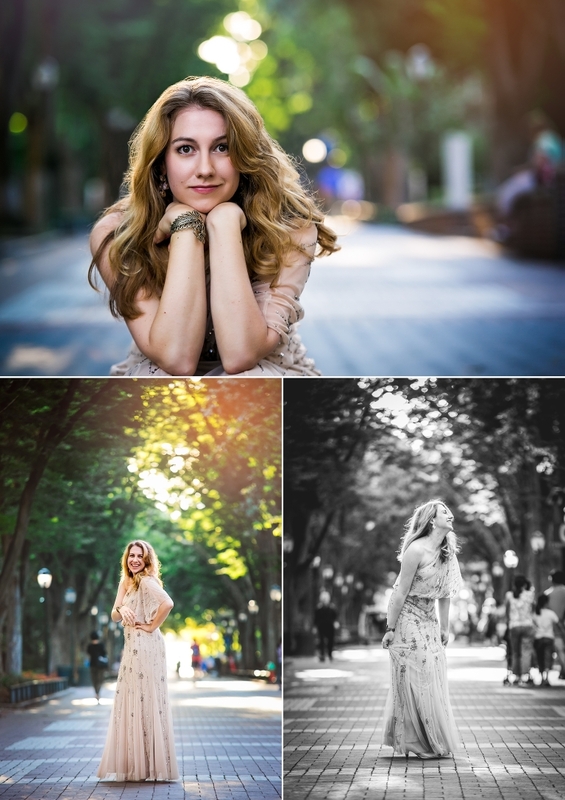 No session with Kat would be complete without a trip to her home in Center City, Philadelphia. Her living room looks like it could be a movie set, with beautiful vintage furniture and lots of cool accents and details. We wrapped up with a stroll around her block, which is made up of colonial cobble-stoned alleyways. 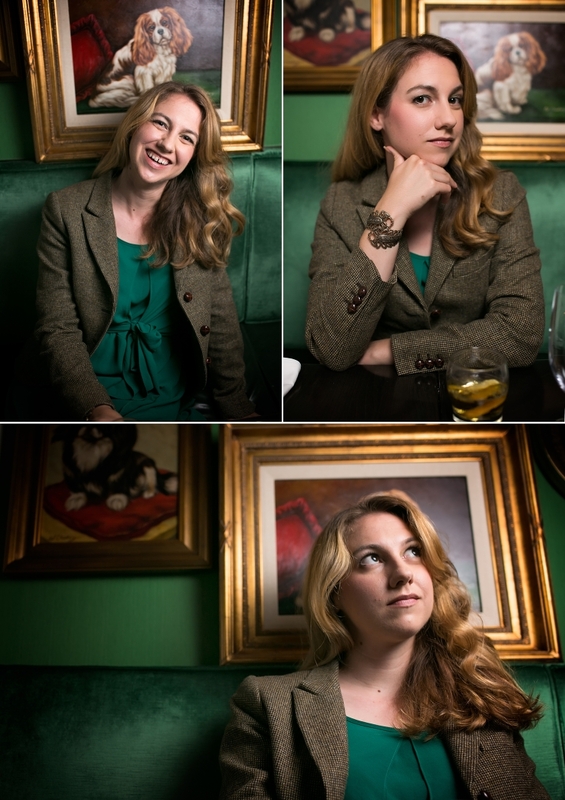 I love how quintessentially Philly the vibe of these photos are. Thank you so much for these beautiful photos, Katherine! I loved working with you! Are you or anyone you know in need of professional head shots, but are also looking for something a little extra? Full body, half body, different locations and lighting scenarios? Come collaborate with me! It’s my passion to create beautiful photos for all of my clients.